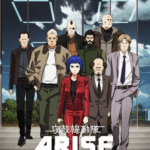 Home > > Movies/Drama > > Ghost in the Shell The New Movie : The last Arise series! In 2029, 11 officers of the national defence force who feel the disrespect of degrading Ministry of Defence to the Defense Agency who kidnapped 42 people and barricade themselves in the building of embassy. They request to maintain Ministry of Defense and cancel the military trial. 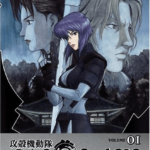 Daisuke Aramaki and the Public Security Section 9 surround them with a riot squad but Osamu Fujimoto who is a special Advisor to the Prime Minister orders Motoko Kusanagi and 6 people as the Private troops to ride along into the building. They successfully capture them and release the hostages but the couple of hostages who are hacked by a ghost grab weapons and kill the culprits. After this happened, as if it is following, the tragedy will continue. Will Motoko Kusanagi and Public Security Section 9 be able to handle this case? Motoko Kusanagi – Main character. She is practically the leader of Public Security Section 9. When she was young, except for her brain and her spinal cord, she became a cyborg. She is a type of person who has skills of judgment, leadership, physical ability and hacking ability. She has a calm personality and gets her job done with her way. She is a member of the army of 501 at first on the series of ARISE. Batou – He is a member of Public Security Section 9. Since he has had an artificial eye, sometimes, he is called Sleepless Eye. Logicoma – Logicoma has been placed in Public Security Section 9 as a test. It has an artificial intelligence and an ability of self -reliance support. It helps a transportation. I wondered how this is the last movie of Arise series but actually, it was good. 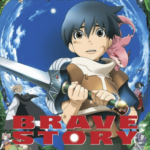 As this movie picks the past Arise series up and gives us a new story. It connects to the past Arise series and goes back to usual Public Security Section 9 which we have seen in the different movies. 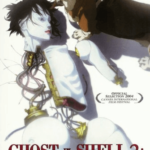 I could watch without feeling weird and makes me like more of Ghost in the Shell series. You can get to see Motoko growing up and starting to have leadership. 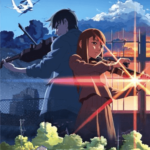 On this movie, the scenes of all of the characters are equalized to be on the screen so I am sure that all fans of each character can enjoy watching without complaining! Who is your favorite character?? ( ・ω・)? I like Motoko, of course, but I also like Saito. Isn’t he a cool guy, even though he sleeps a lot?? Which hair style of Motoko do you like best? I think this version of her is best! She is so cute with her bangs! I think about having the same hair style too. lol, Well, I am glad that her hair came back! But I think it is hard for people to understand this movie if you haven’t watched the series of Arise so what I want to say is I think you have to watch 4 parts of movies at first and watch this movie at last. I recommend this way. There are a couple of new words that would confuse people so it is best to watch early movies at first and try this movie next. I do suggest this way better. 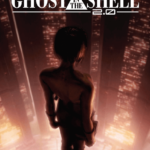 Although, you might be able to feel the worldview of Ghost in the Shell! Thank you for reading this post! I will summarize anime series of Ghost in the shell for next post! See you soon~~! 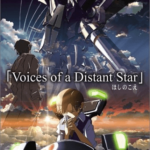 Voices of a Distant Star : Lo~ng Lo~ng Lo~ng distance love! The Place Promised in Our Early Days : Ending is beginning!